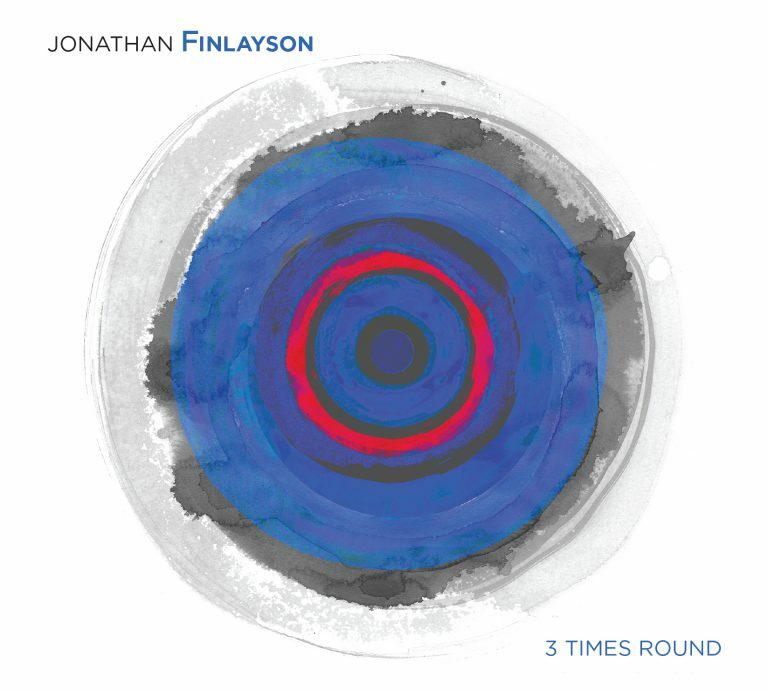 Trumpeter Jonathan Finlayson’s 3 Times Round is his first release since the widely-lauded Moving Still, which was named one of the top albums of 2016 by the New York Times and the best release of the year by PopMatters, who called Finlayson ”among the most exciting and puckish composers in the music today.” Relentlessly innovative and thoroughly uncompromising, Finlayson is the first-call for musicians seeking a trumpeter who is able to negotiate the most complex musical material yet bring his own sense of individuality and verve. These includes a stunning list of cutting-edge artist such as Henry Threadgill, Muhal Richard Abrams, Steve Lehman, Mary Halvorson and, of course, Steve Coleman, with whom Finlayson has played with for the last 18 years. Just in 2018, Finlayson appears on two other important Pi releases: Henry Threadgill’s 14 or 15 Kestra: Agg – Dirt… And More Dirt and Steve Coleman’s Live at the Village Vanguard, Vol. I (The Embedded Sets), further evidence of his standing at the leading edge of jazz. Finlayson’s two prior releases as a leader featured his band Sicilian Defense, which highlighted the leader as the only horn. 3 Times Round, however, features a frontline of Finlayson on trumpet, Steve Lehman on alto saxophone and Brian Settles on tenor saxophone and flute, plus three holdovers from Sicilian Defense: Matt Mitchell on piano, John Hebert on bass and Craig Weinrib on drums. It’s a remarkable aggregation of highly individual artists. Mitchell, who has release three acclaimed albums on Pi, is one of the most highly sought-after pianists in jazz, playing with the likes of Tim Berne, Dave Douglas, John Hollenbeck, and Steve Coleman. Hebert is also a bandleader who is a member of Fred Hersch’s trio and various Mary Halvorson aggregations in addition to playing for years with the legend Andrew Hill. Weinrib is best known as a member of Henry Threadgill’s groups Ensemble Double up and 14 or 15 Kestra: Agg in addition to playing with David Virelles and Ravi Coltrane. Perhaps the most notable quality of this sextet is the contrast between the saxophones of Lehman and Settles. Lehman, who has collaborated with Finlayson since 2004, is a veteran of six releases on Pi and is widely admired for his compositional audacity. He also brings an immediately recognizable sound as a player, with its piercing attack, exacting tonality, and distinctive cadence. On the other hand, Settles, who is perhaps best-known as a stalwart of the fertile Washington DC jazz scene, stands out with his refreshing juxtaposition of a modernist vocabulary with a burry sound filled with texture and grain, one that reminds of players from a long-bygone past. Lehman is particularly effusive in his praise: “Brian has developed and refined a very unique take on a somewhat overlooked school of tenor saxophone language that includes everyone from Don Byas to Archie Shepp, and a lot of the tenor players who came to prominence in the 1970s like Carlos Garnett, David Murray and others. It’s about sound and gesture and vocalization and connecting on a visceral level. And yet every single one of his solos navigates the intricate rhythms and harmonies of Jonathan’s music with real grace and aplomb. It’s rare to hear someone extended that tenor language in 2018 in an era when Mark Turner and Michael Brecker are still the main role models for most, and rarer still to hear it in the context of highly demanding compositions like these.” Finlayson’s own playing straddles the divide. He prefers a purity of sound with deft timbral variety. His solos emphasize patient melodic invention over flashy moves. Together, the three horns intertwine with fluidity and grace. The compositions on 3 Times Round exhibit an incredible sense of balance in the ensemble writing and the way the various voices complement one another. Featuring intricate counterpoint, and interlocking rhythmic complexity, it’s also filled with gorgeous harmonies and melodies, which drew enthusiastic praise from Finlayson’s long-time bandmate Steve Coleman: “It’s very impressionisticwith really creative harmonic writing, of which Jonathan has an almost-pianistic command. I can hear the breadth in the music, which reflects Jonathan’s interests in so many different things.” Many of the pieces are also great blowing vehicles, leaving plenty of room for the musicians to stretch out and put their improvisational inventions on full display. But Lehman says that they aren’t just a string of solos: “You can’t kind of dial up your usual bag of tricks because the music isn’t really based on chord changes or chord symbol mentality. It’s much more about voice-leading and the way that one chord connects to the next via the movement of very specific pitches. The notion of counterpoint andvoice-leading in the written material carries over to all the structures for improvisation, too.” Brian Settles describes it as “an expansive perennial garden-landscape, one that is thoughtfully designed with a variety of colors, textures and shapes, with a subtle underlying order.” It’s another masterful work from one of the most creative and uncompromising musicians on the jazz scene today.